The over-reliance of some countries on a particular source of revenue generation is one of the significant banes of progress because a fall in the price of such commodity or the loss of value is capable of affecting the economic status of the country. This is the predicament some countries are such as Russia currently faces. Simply put, diversification is important in order to maintain an enviable height financially as an individual, corporate body or a country. Luckily, Russia hasn’t realised its mistake of over-concentration in oil as its sole income generation too late. Instead, they have resulted in following the bandwagon of developed countries who require diversifying resources to attain higher heights and become more wealthy by exploring alternatives in digital and communication fields. Russia’s full determination recently has been the maximum exploration of cryptocurrency and blockchain industries. Russia’s interest in Cryptocurrency could yet yield instant success as Digital currencies can enable Russian powerbrokers to conduct transactions internally and externally as well as ensuring sanctions aren’t suffered. The task before this piece is quite straightforward, as it aims to reveal some salient points about Cryptocurrency and Blockchain as well as pinpointing the advantages Russia stand to benefit from its current romance with Cryptocurrency. The emergence of Cryptocurrency has been evident for some time now. While it has been appreciated and benefited by traders, investors, countries and service providers of the cryptocurrency, some countries in Asia such as China and Japan, have opened their arms to receive the technology innovation in the financial sector. However, other countries like Russia are just coming to terms within the immeasurable potentials and value possessed by the digital currency. That been said, with its Pioneer brand, Bitcoin, it brings to fore the uniqueness and versatility that can be derived via the alternative to traditional banknotes and coins which is not held back by the rules and regulations of any financial and political institution. Therefore, the interest of Russia in blockchain and cryptocurrency at delicate times as this when oil-rich countries are experiencing an alarming slash in the price of their commodity, the choice of Cryptocurrency is a move potentially filled with profits for Russia now and in the near future. The existence of Blockchain in the digital currency scheme of things has held sway for a while to proof to first timers and critics whether individuals or corporate bodies and investors that if nothing at all, it’s capable of holding its own. With regards to the utilization of the blockchain concept which is designed to help simplify the number of procedures for corporate bodies or government, this has resulted in a great increase in new challengers contemplating a change by contesting and discarding the outlined ways of saving, extracting, and organizing sets of data. 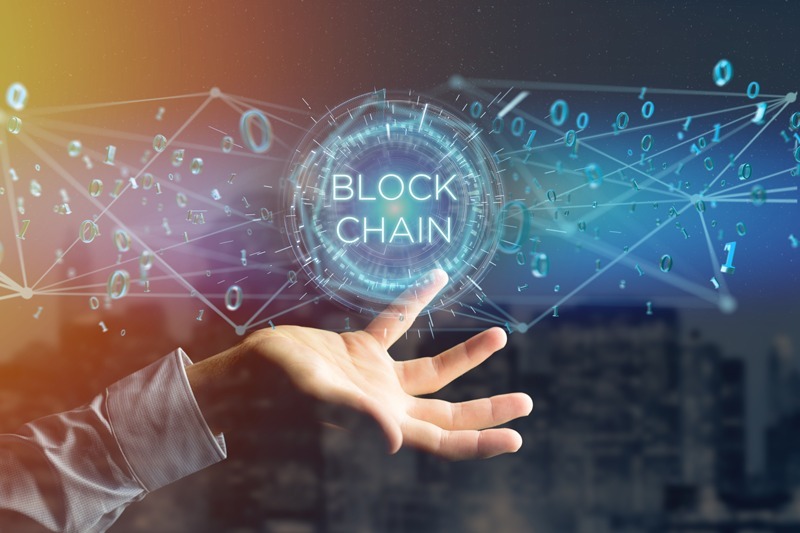 Nevertheless, the real effect of the blockchain technology across the United States and major parts of western Europe is being held back by the uncertainty roving over regulatory systems. What attracts Russia to Cryptocurrency? There are quite a number of reasons why digital currency is attractive to Russia. The leading one is the fact that cryptocurrency is a financial system that’s not reliant on the currency used for foreign exchange transactions such as the United States dollar. As the banking system strongly relies on the European Union and the United States monetary approval, this makes cryptocurrencies a viable option for Russia. Talking about attraction, the cold weather in Russia offers a suitable choice for cryptocurrency experts in the European country as this will ensure that the cost of maintaining or cooling the equipment for mining is reduced to the barest minimum. Also given the provision of steady power supply at a cheap rate, it’s safe to say that it will almost be impossible for any investor to reject a lucrative offer of investing in either cryptocurrency or blockchain. The aforementioned reasons are valid enough to witness a great level of investments in cryptocurrency in Russia with even more growth. According to Ernst & Young, the total investments in cryptocurrency in 2012-2016, amounted to approximately USD 1.4 billion. However, in 2017 cryptocurrency is expected to attract almost USD 1 billion in bank investments alone. This means we are about to see many of the traditional conventions of banking explode in many countries around the world. It’s important to understand from experts the application of blockchains to various industries and know the individual issues which are benefits of ensuring the application of blockchain in every industry. The city of Moscow hosted a two-day cryptocurrency summit that was touted to be one of the largest of its kind in the year between the 19th -20th of May 2018 as the occasion was graced by an excess of 200 speakers as well as over 3000 participants. Though much meanings might not be read into the event, nevertheless the event was a step in the right stead being that Russia is currently at a decisive stage with Cryptocurrency and Blockchain. Russia will benefit from cryptocurrency being legalized because the country has a resilient desire to hold sway in the blockchain space. Consequently, Russia will enjoy the benefit of adopting blockchain technology by acquiring organizational patterns that are based on the controls of machines to cut out the middlemen, to achieve reliability and efficiency in the market. Captains of respective industries in Russia have shared their views on what the country stands to benefit from Cryptocurrency. According to the CEO of Waves Platform, Alexander Ivanov, (the company that partnered with Burger King to create Whopper coin), the digital currency industry in Russia is very new and growing. This means that Russia’s government has an excellent opportunity to be a leader when developing a technology that could, in theory, assist with preserving data and ensuring contracts.